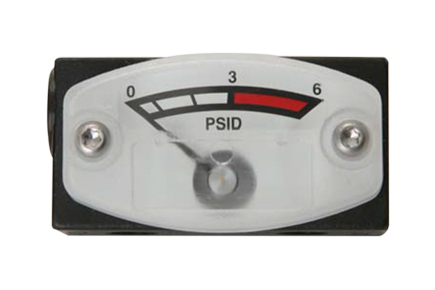 The Mid-West Model 127 piston type gauges have a 5% Accuracy and are low cost. Common Applications include filter monitoring, strainer monitoring, water system application and refridgerant filtration systems. Body Material – Aluminum (Std), 316/316L SS Opt.